Prick of the Spindle & Cynthia Reeser are spoiling me rotten. I am eating donuts and being spoiled rotten. I am smiling. I am a bratty kid. Prick of the Spindle is nice. Congrats to all the nominees. Congrats to me. Spoiled rotten. 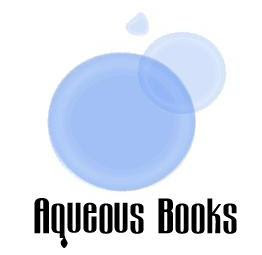 Grease Stains is slated to be the second release from PotS's imprint Aqueous Books. Mike Atwood's The HiStory of Santa Monica is slated to be the first. Big congrats to Mike. Prick of the Spindle also released their third podcast today. And guess what? It's more me. Being spoiled rotten. Eating donuts. Drinking milk. Bratty kid. I am imagining myself to be a robot right now. How do you feel about that? How do I even begin to thank Prick of the Spindle & Cynthia Reeser for all this goodness? I will do a slow robot dance. Because I am a slow robot. A slow grinning robot. Slow robot says, "THANK YOU, PRICK OF THE SPINDLE. THANK YOU, CYNTHIA REESER. YOU MAKE ROBOT SMILE. AND DANCE." Congratulations, Mel! Well Deserved! Also, I loved the podcast. Great story. congrats mel. a major woody for you. "THANK YOU, REESER," said robot brat. Thanks, Michael. Major wood, no doubt. "BIG LARGE THANK YOUS, ERIC BEENY," says robot melly-mel.